From comfortable airport transfer service in an executive sedan, to top luxury VIP style transfers in one of the luxurious vehicles, and even minivan / minibus airport transfers for big groups, we offer it all! 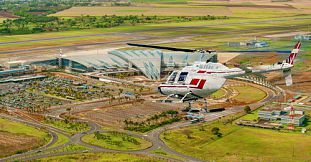 Our Airport transfers include one or two ways transfer service from Mauritius SSR airport to any place of accommodation in Mauritius. Looking to travel in style? 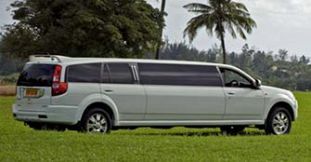 Then be sure to choose one of our VIP airport transfers ensuring that your holiday in Mauritius gets off to the best possible start travelling from the SSR International Airport to your hotel or villa in one of the most luxurious vehicles such as Porsche, BMW and Mercedes. 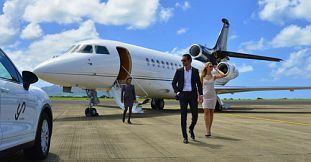 Of course nothing compares to the Exclusive Private Helicopter transfer service which is surely the most direct and enjoyable way to get to your place of accommodation. 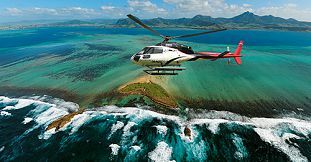 Save time by avoiding road traffic and experience the beauty of Mauritius from high above, having a truly memorable experience. The airport transfers service is very professional, customer oriented and efficient, with high emphasis on being on time and providing reliable service to customers.